Elopement occurs when a resident of a nursing home or adult foster care facility leaves the facility unnoticed and without supervision, and certain residents are at risk for elopement. It’s the facility’s job to recognize this risk and mitigate it. For example, doors or windows should be alarmed in certain facilities; for example, dementia units, and there are many times that we find that either the facility was not turning on the alarms or the alarms were not functioning and obviously that allows the resident the opportunity to leave the facility without being noticed, and elopement can lead obviously to death or very serious harm for residents who can’t find their way back to the facility once they’re outside. 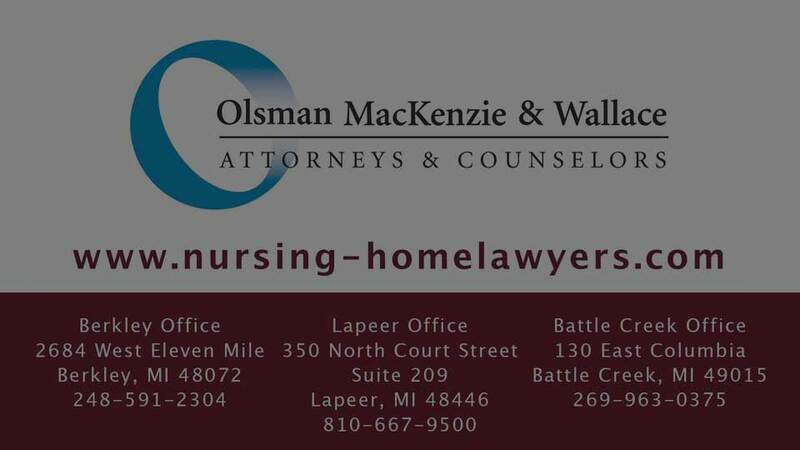 Click on the video to hear attorney Emily Peacock explain what you should do if you’re worried that your loved one been harmed after leaving a nursing home facility unattended.